The LAADS DAAC primarily serves MODIS and VIIRS atmospheric data products to a large and diverse user community, globally. It supports atmospheric science research and applications through a range of science data products and services. This News section attempts to provide the user community brief snapshots of the on-going work in atmospheric science at the Goddard Space Flight Center (GSFC) that predominantly use MODIS and VIIRS data products. On-going atmospheric science work at GSFC is best described through the broad atmospheric product suites that are served by the LAADS DAAC. The following brief descriptions of each MODIS and VIIRS product suite lead to their connections with particular Principal Investigators (PI) and their work, and identify recent papers, presentations, and hyperlinks to them. Currently, this information relates to the Terra and Aqua incarnations of the MODIS instrument-derived atmospheric data products that comprise the operationally available collections. Expect to see descriptions of the VIIRS atmospheric product suites as those collections become publicly available in the near future. Links to product PIs also includes a list of publications. You may also consult the NASA Earth Science Division’s list of refereed publications. Aerosols are defined as a colloidal dispersion of extremely small solid and liquid particles that are suspended in air, smoke or fog. Their type, physical properties, and spatiotemporal variation and distribution over land and oceans comprise areas of knowledge and understanding that are critical for climate science. They interact directly and indirectly with Earth’s radiation budget with consequences from sunlight scattering to how cloud composition changes to affect their reflectance and absorption behavior. Aerosols also play a crucial part in the atmospheric correction of remote sensing-derived land surface reflectance. MODIS Aerosol products are derived from both Terra and Aqua versions of the instrument over both oceans and continents, globally. 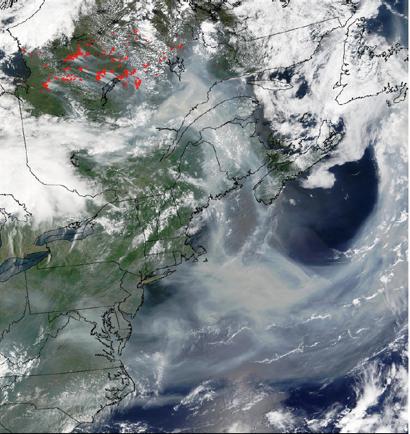 Produced at a nominal 10 x 10 km spatial resolution, the original MODIS aerosol algorithm has evolved to address the unique requirements between dark target (separately for land and oceans) and deep blue (land only) aerosol retrievals. Water vapor is the diffusion of air molecules in the atmosphere that influences both rain and cloud formation. Its source is traceable to vaporization of water via evaporation, boiling, or ice sublimation, which is a transformation from solid to vapor by circumventing the liquid phase. An important greenhouse gas, water vapor has a regulating effect on Earth’s temperature through its reflecting and scattering of solar radiation, and absorbing Earth’s infrared radiation. An ubiquitous component of the hydrosphere, water vapor constitutes an important atmospheric science target of study. MODIS Precipitable Water products provide column water vapor amounts, and are derived from both Terra and Aqua versions of the instrument over both oceans and continents, globally. Daytime measurements (at 1 km spatial resolution) derive from a near-infrared algorithm that is used over cloud-free global land areas, and above clouds over both land and oceans. 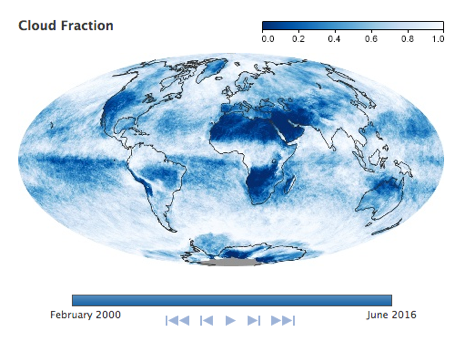 Water vapor estimates are derived over cloud-free global ocean areas with sunglint. An infrared algorithm provides estimates (at 5 km spatial resolution) for both day and night provided at least nine field-of-view observations are cloud-free. MODIS Precipitable Water PI: Bo-Cai Gao was formerly funded to support the Near IR Water Vapor product. A cloud is a visible mass that contains condensed water and/or ice molecules suspended in the atmosphere, generally at all tropospheric altitudes. The MODIS Cloud product provides datasets characterizing a variety of cloud properties. 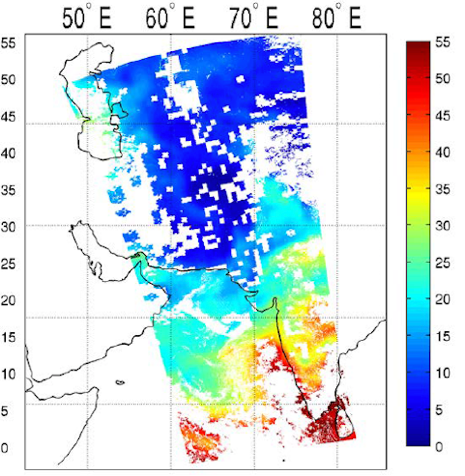 Based on an algorithm that combines visible and infrared channels, it provides the following parameters derived from both Terra and Aqua versions of the MODIS instrument: Cloud-top properties (temperature, height, effective emissivity, phase), Cloud optical properties (optical thickness, particle radius), Cloud particle phase, Cloud fraction, and Cirrus reflectance. The MODIS Cloud Mask is another product that provides a measure of confidence regarding a satellite observation’s unobstructed field-of-view of a pixel on the Earth’s surface. For every 1-km pixel, it derives 48 bits of information that are germane to a number of applications, and hence serves as a primary ancillary input to other cloud-related algorithms. 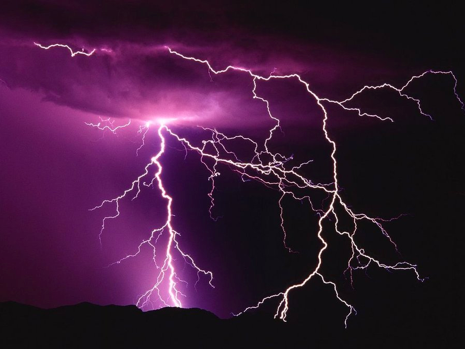 Earth’s atmosphere is defined by a number of physical properties that determine its composition and behavior. An atmospheric profile provides an observation of the vertical distribution of an atmospheric physical property. The MODIS Atmospheric Profile product provides derived estimates for several parameters that include total-ozone burden, atmospheric stability, temperature and moisture profiles, and atmospheric water vapor. These profiles are produced at 5-km pixel resolution when at least nine field-of-views are deemed cloud-free.